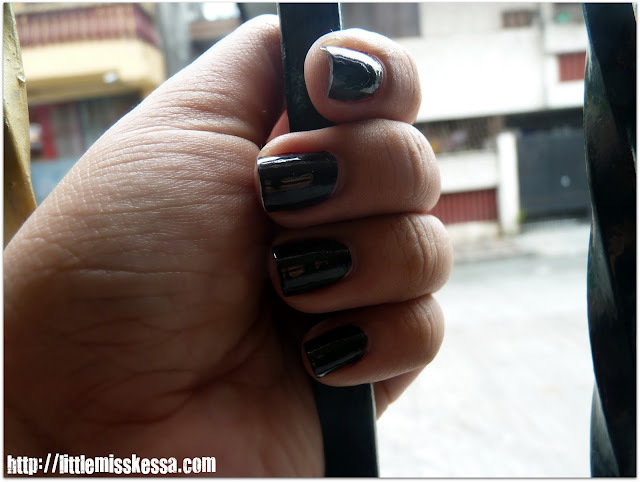 A couple of days ago I had my nails done and decided to paint it dark this time due to the incessant request of a "friend". And so I gave in and slathered on some OPI Lincoln Park After Dark which by the way impressed me so much because it gets to opaque only after two coats. And the high glossy creamy finish is noteworthy too. It doesn't look the same on my nails as it is in the bottle though. Even when I look at my nails, it looks like it's just some glossy black but some people could tell it was dark plum. Maybe just my eyes and my camera lens that thinks it's black. 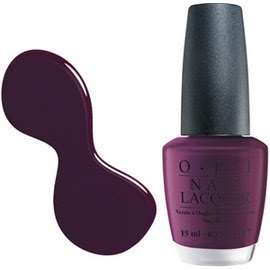 OPI Lincoln Park After Dark is part of the OPI Chicago Collection. Looks totally vampy, don't you think? Every bottle costs $9 but I'm sure it'll get me far since its a very opaque color. A hint of plum prevents this deep hue from going totally goth and lends it a "playful sexiness," says L.A. nail pro Tracey Sutter.